I was fifteen. 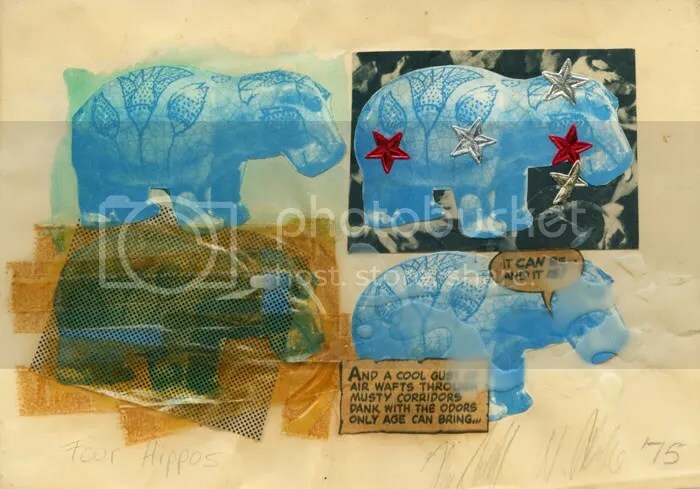 The hippos are from a Metropolitan Museum brochure. I did a lot of postcard collaging with them. Was drawing comics with friends along with engaging in a bunch of other activities, some not so savory.